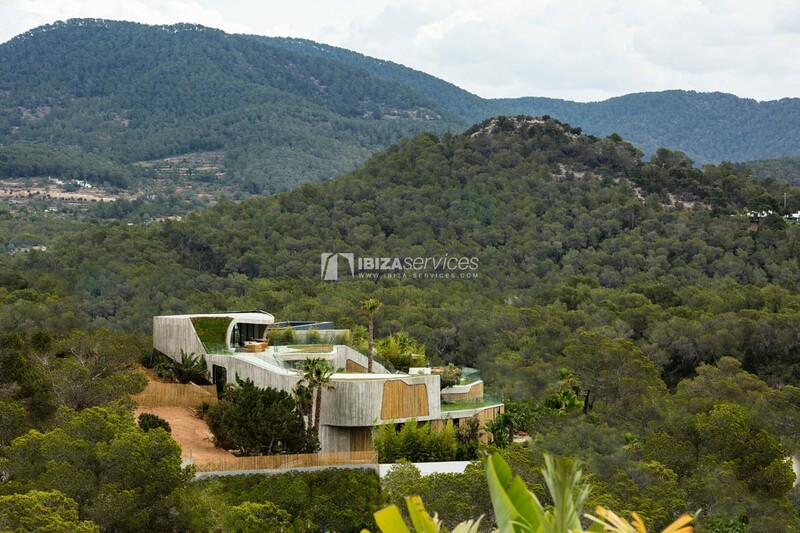 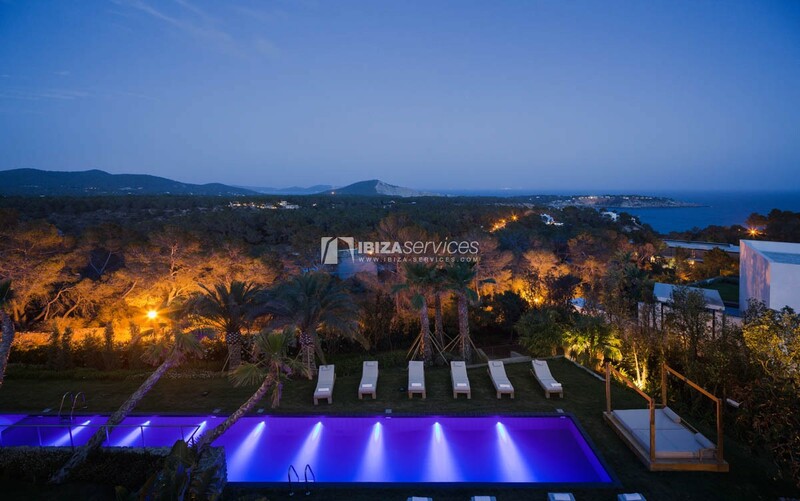 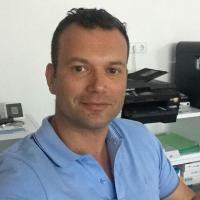 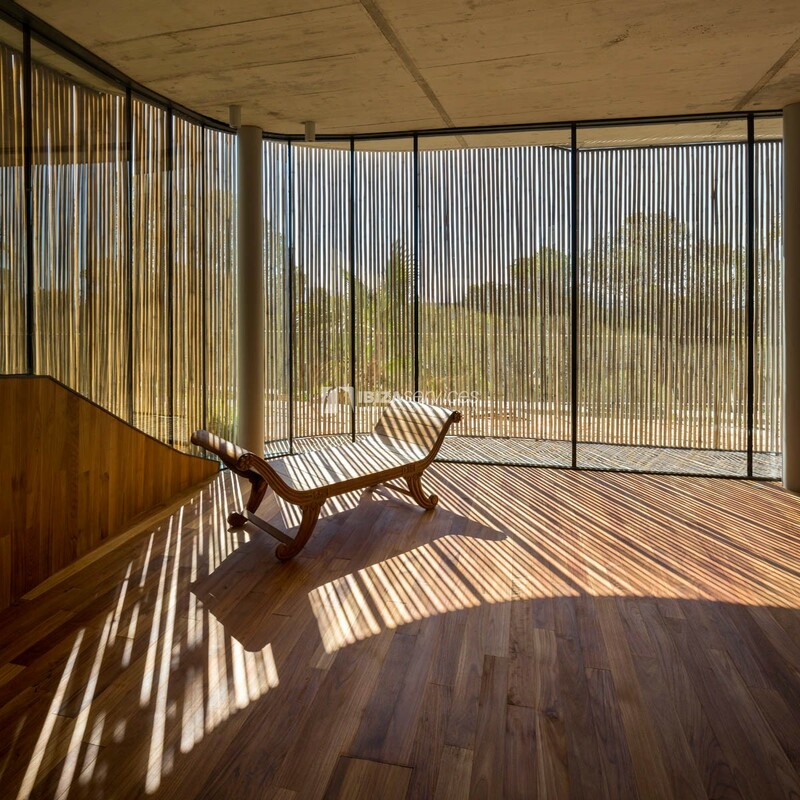 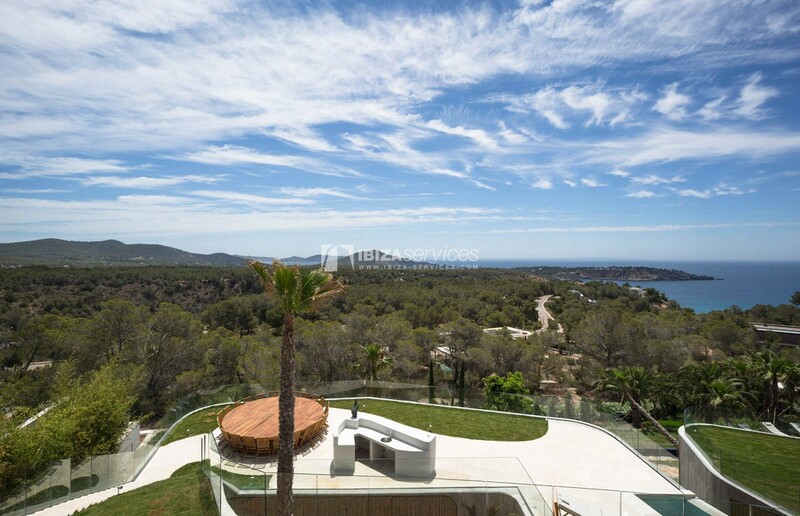 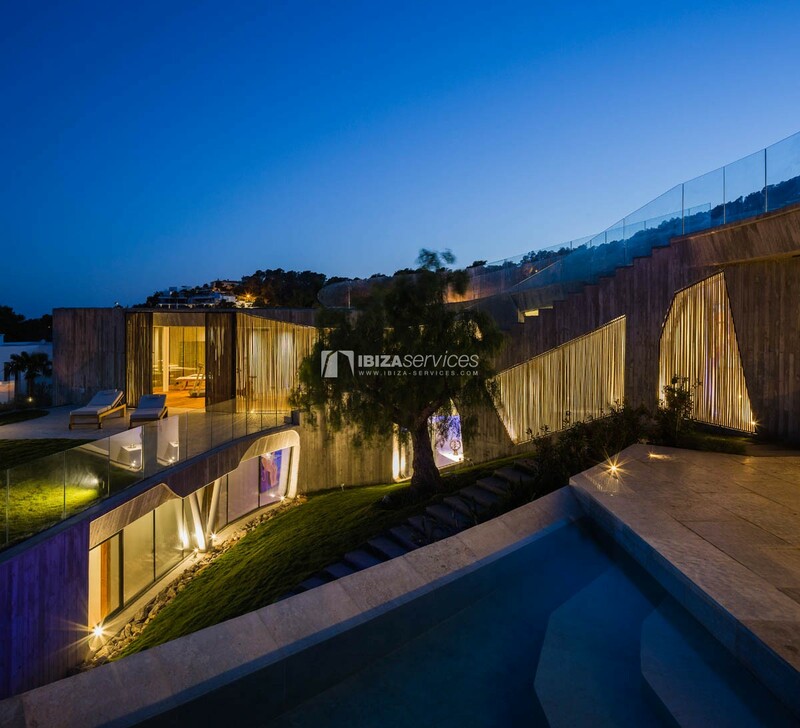 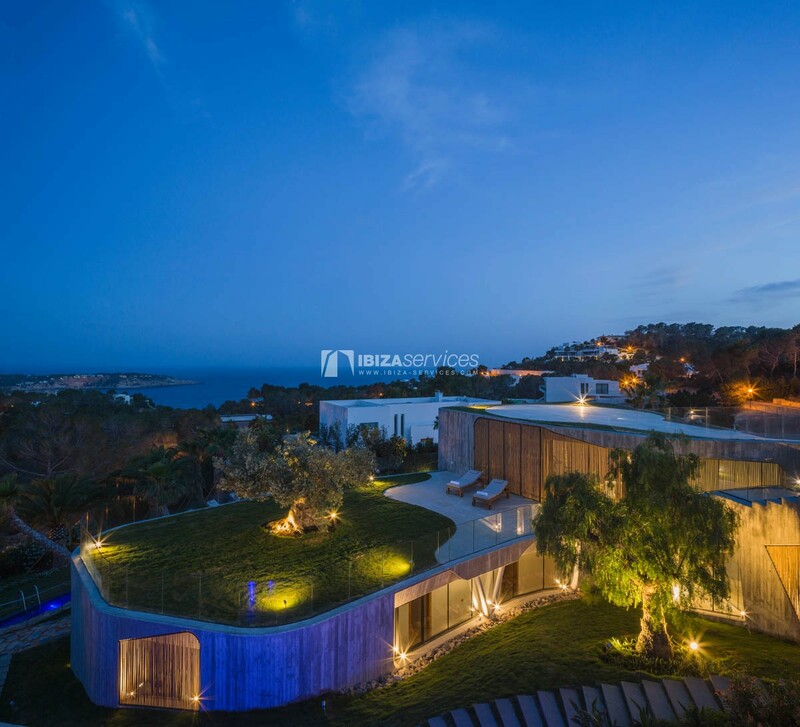 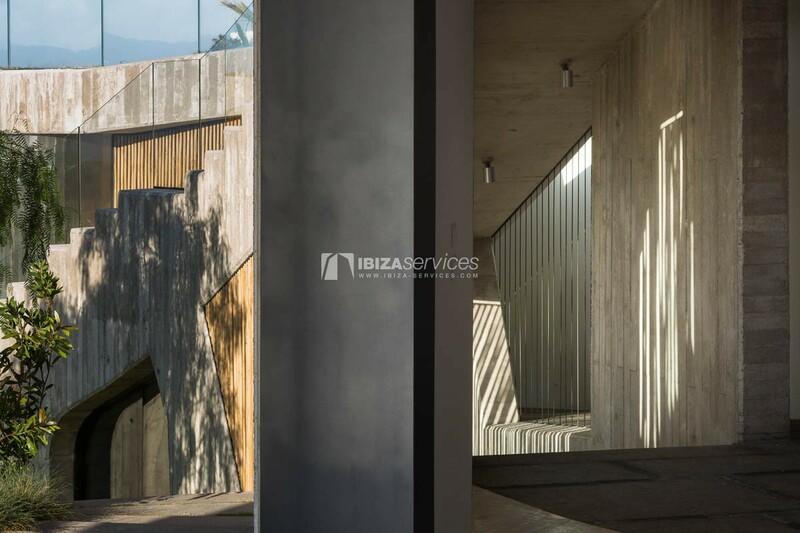 • The main concept of the building is the fusion of Mediterranean culture and the natural environment. 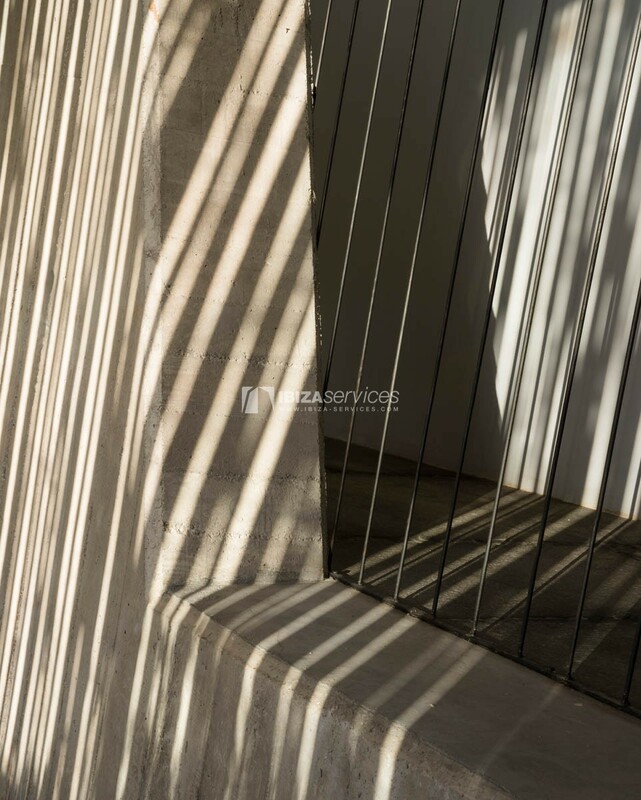 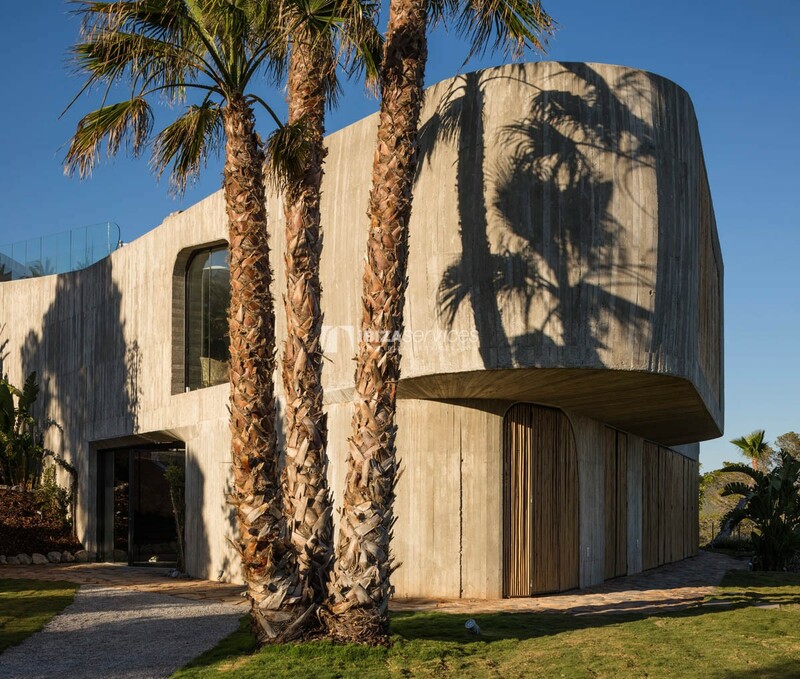 • Inspired by the roman villa and by Spanish and Arab heritage, the house takes form through the natural lexicon of Italian expressionism (Moretti, Michelucci etc. 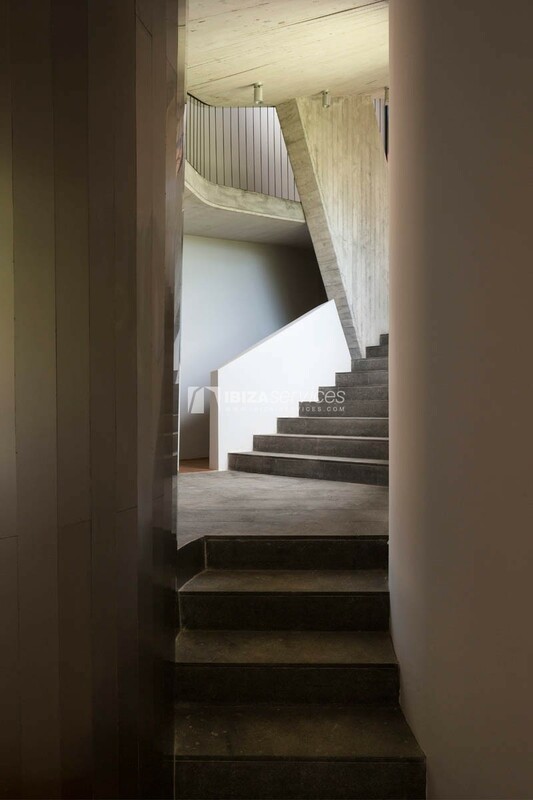 ), which also maintains a strong memory of Rudolf Steiner. 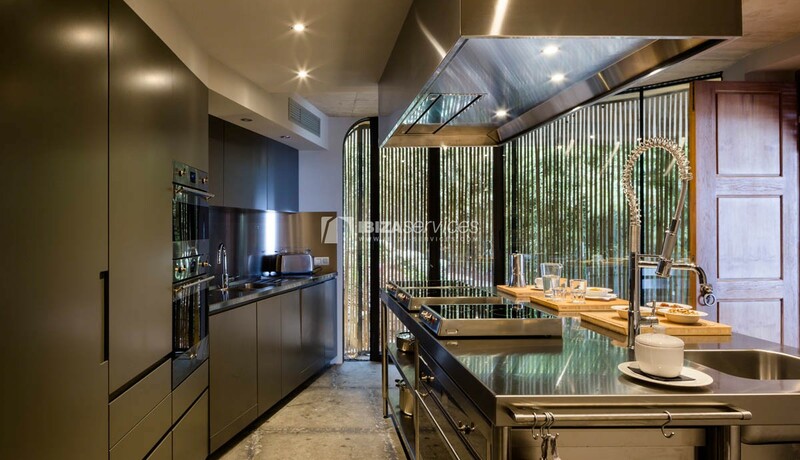 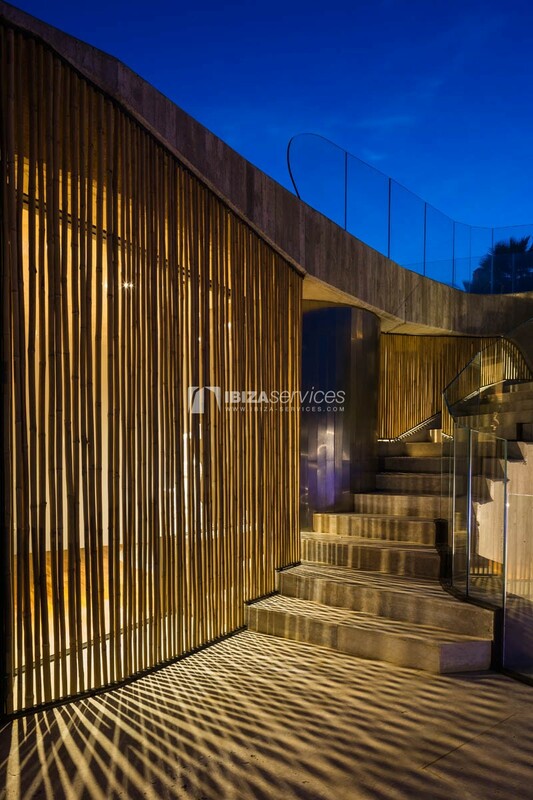 So for example the continuous inside outside relationship obtained by the big glass windows, is filtered by hanging gardens, canopies and custom made bamboo shutters, that are a reminiscence of the traditional awnings and latticework Moucharabieh. 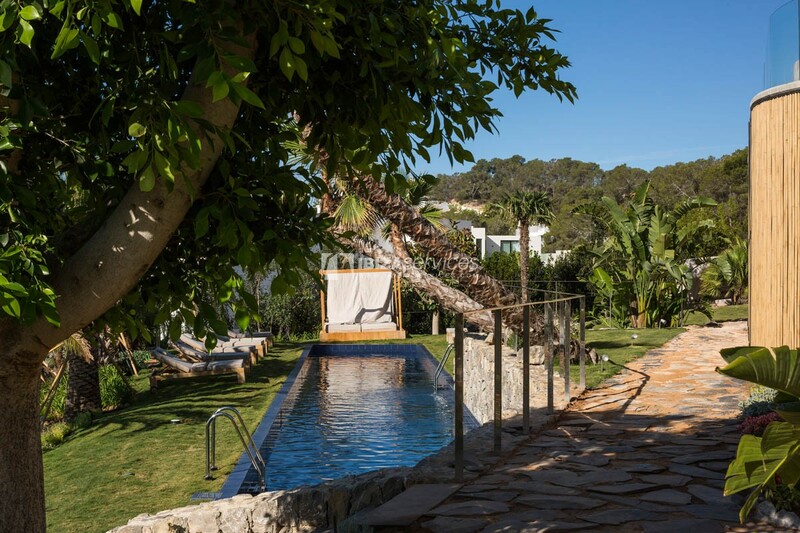 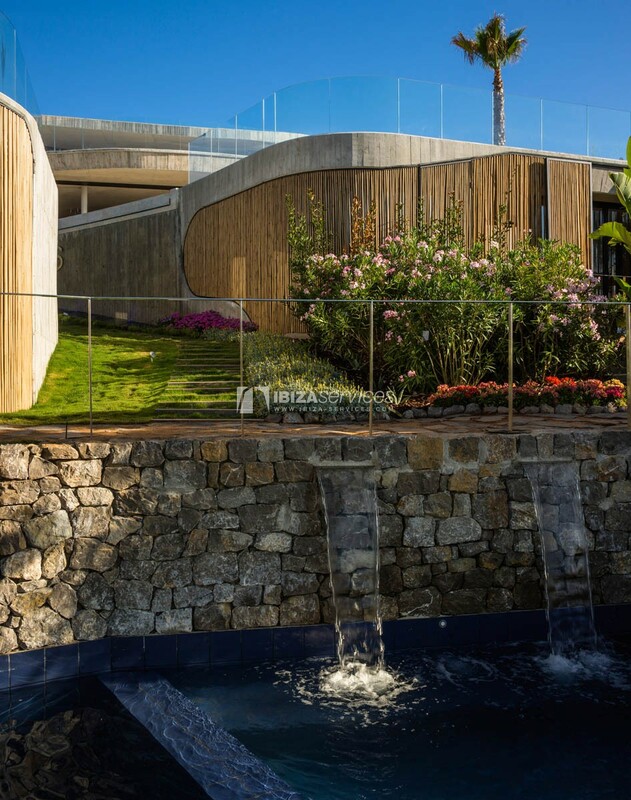 The typical central patio is the fulcrum of a complex network of multi level paths and at the same time, as the impluvium was used to gather water, it is enriched by a waterfall and creek that connects the two swimming pools. 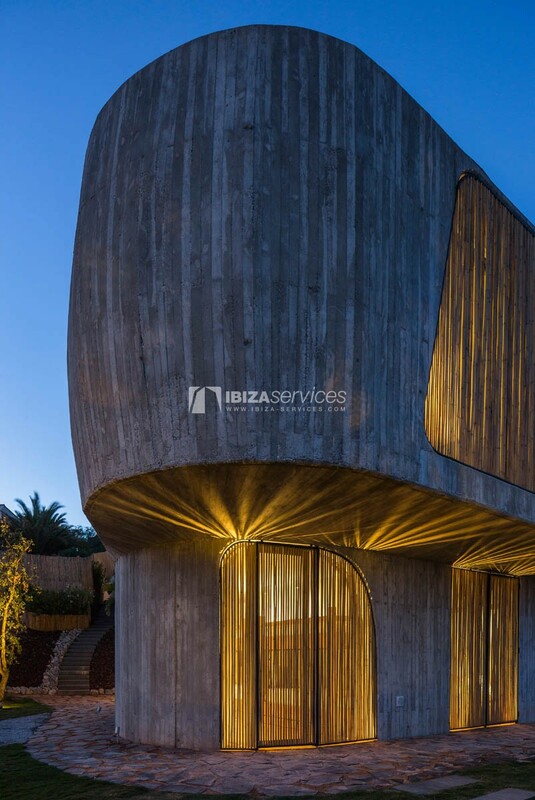 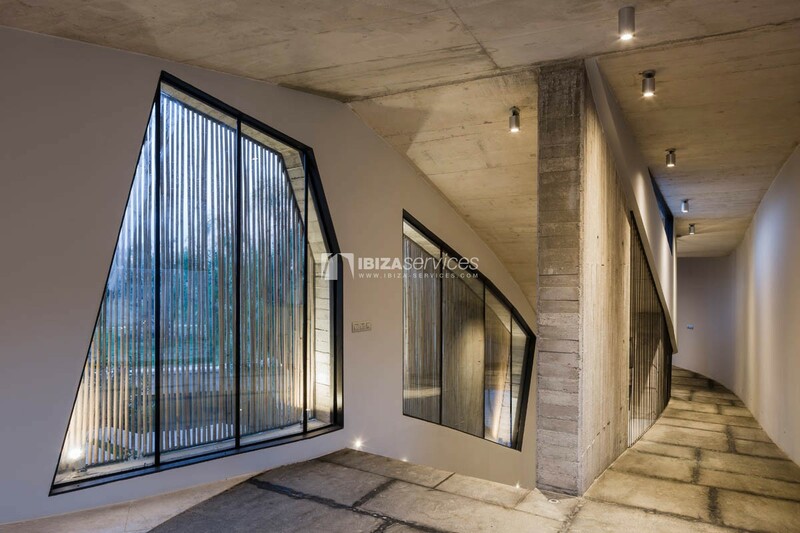 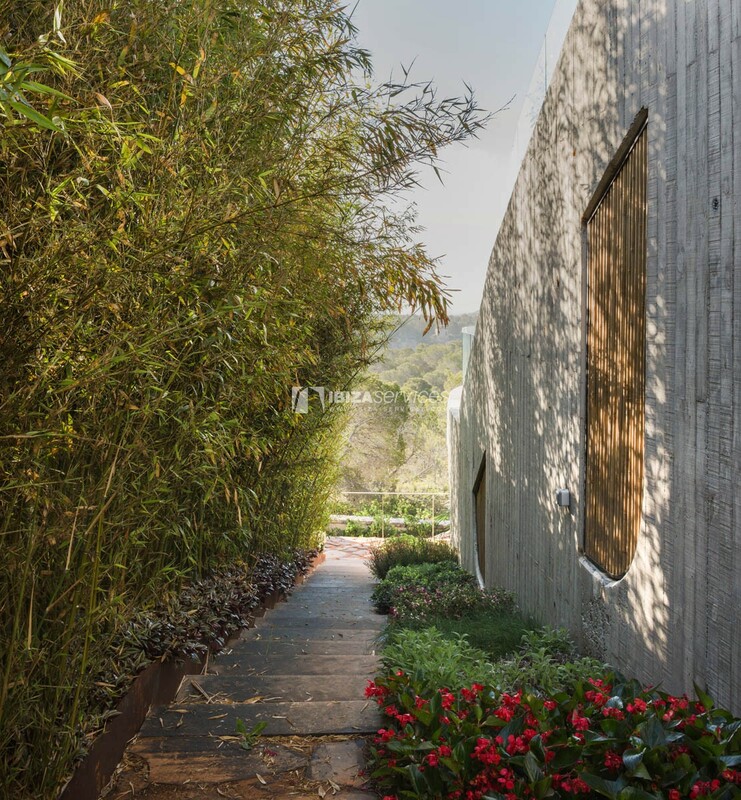 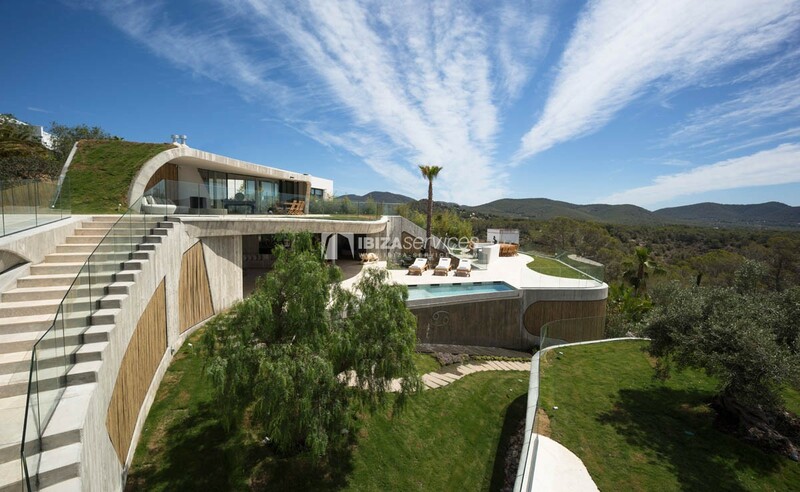 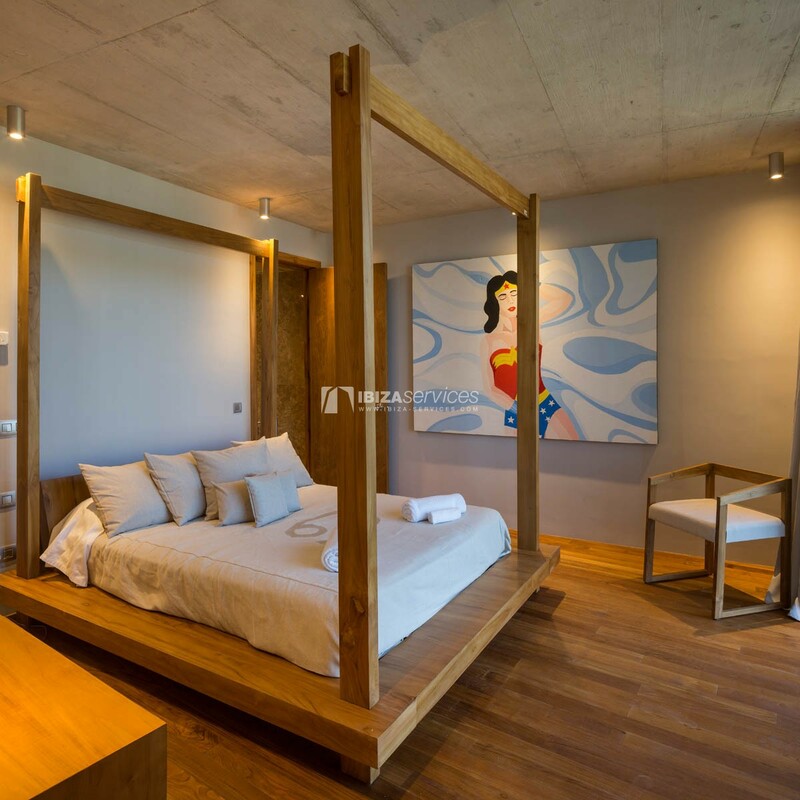 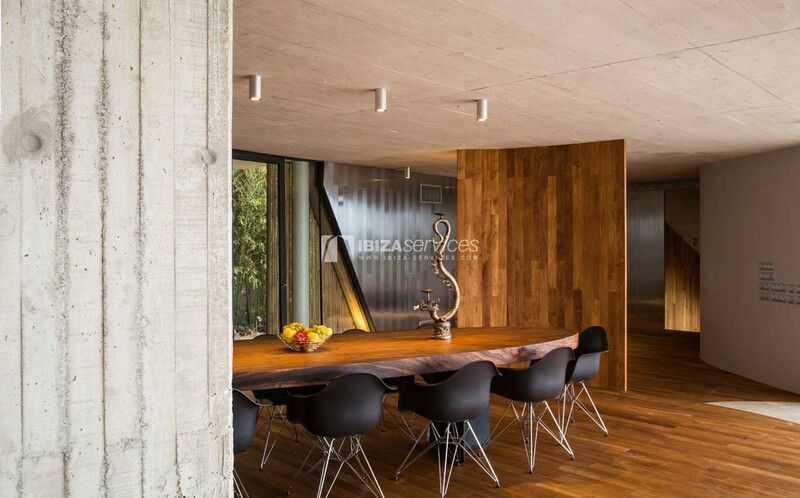 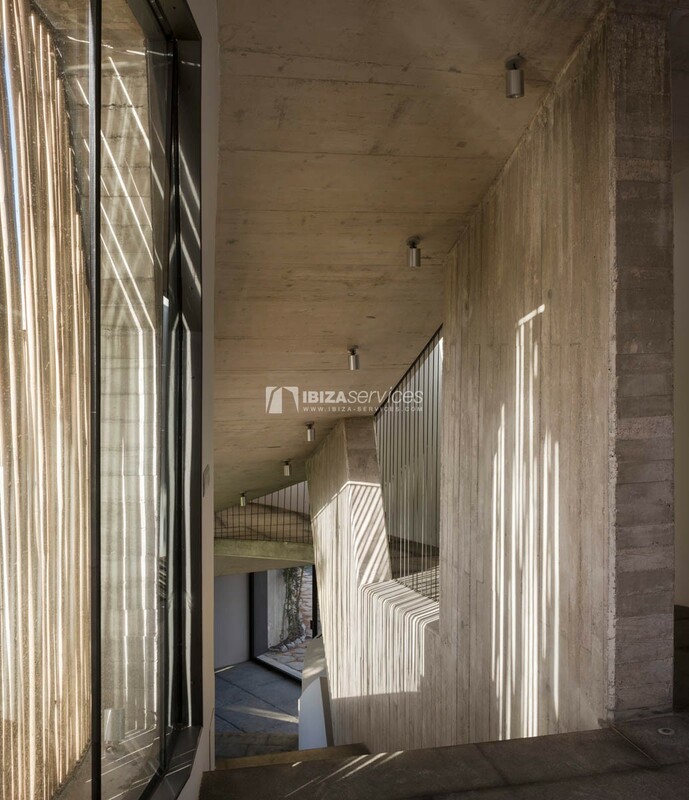 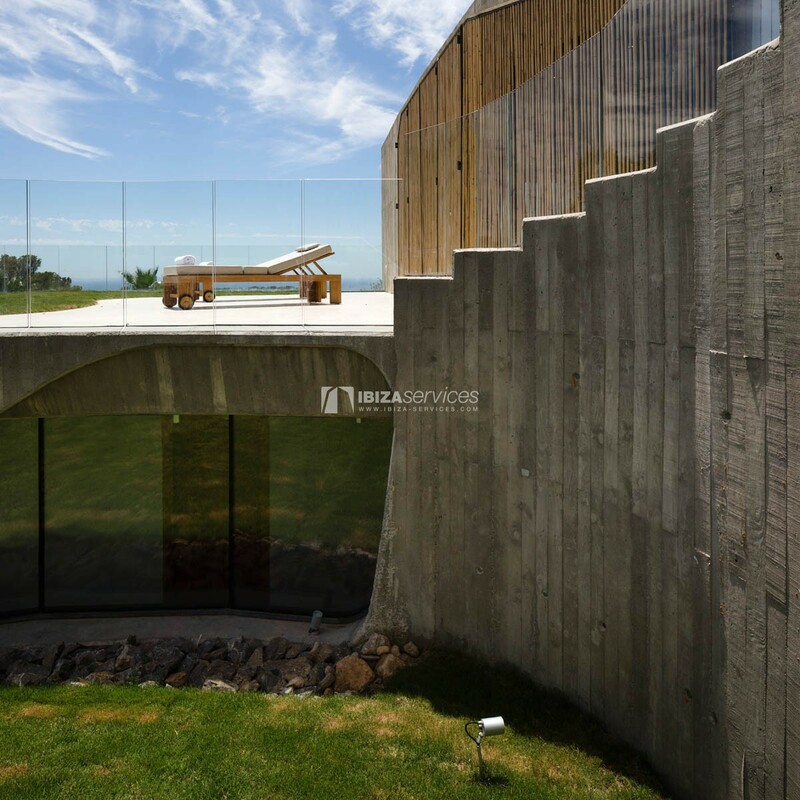 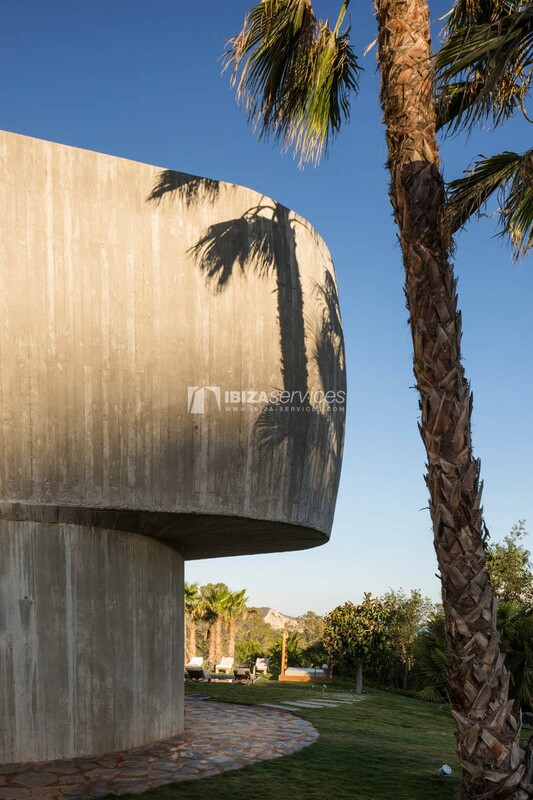 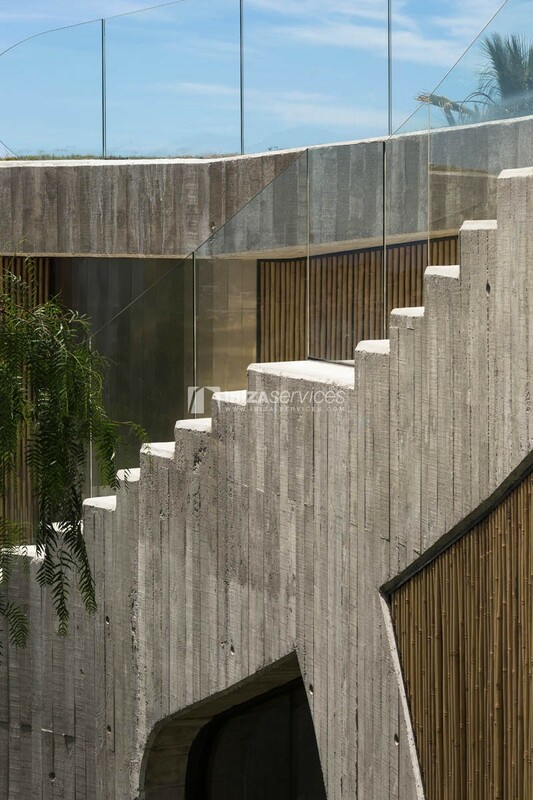 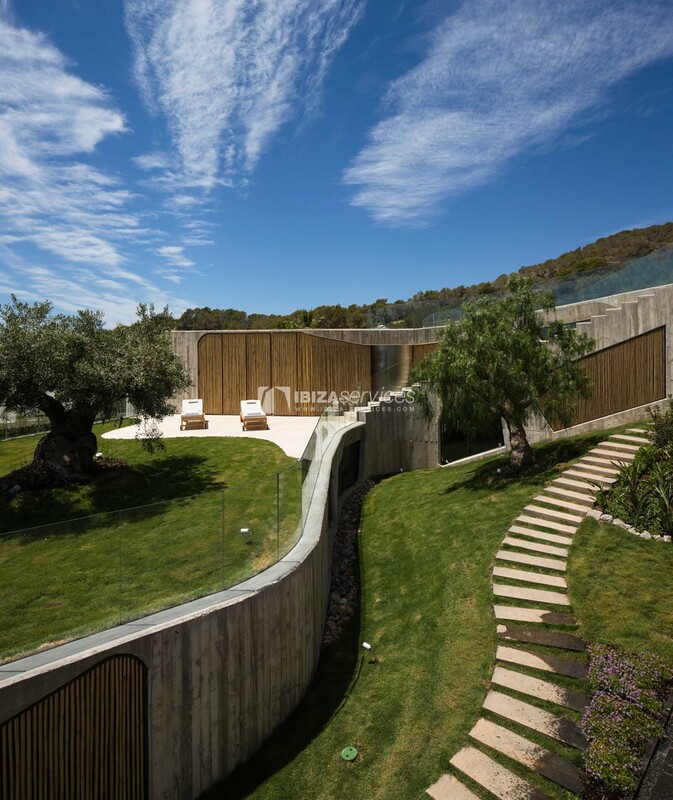 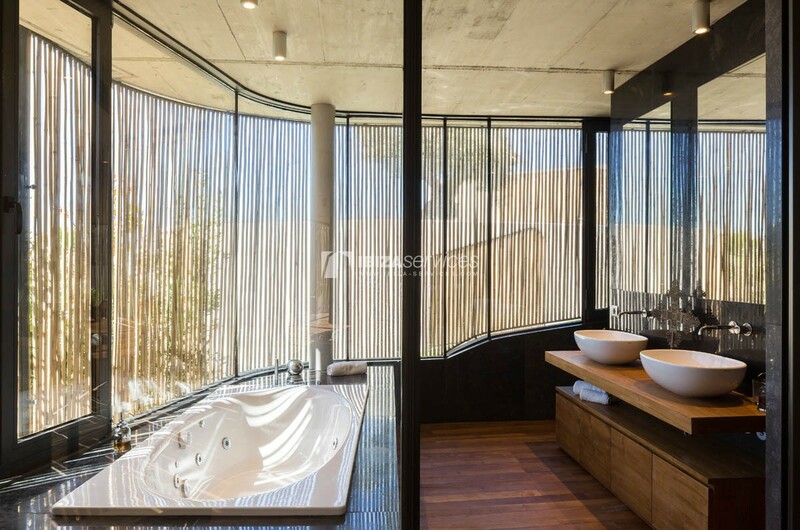 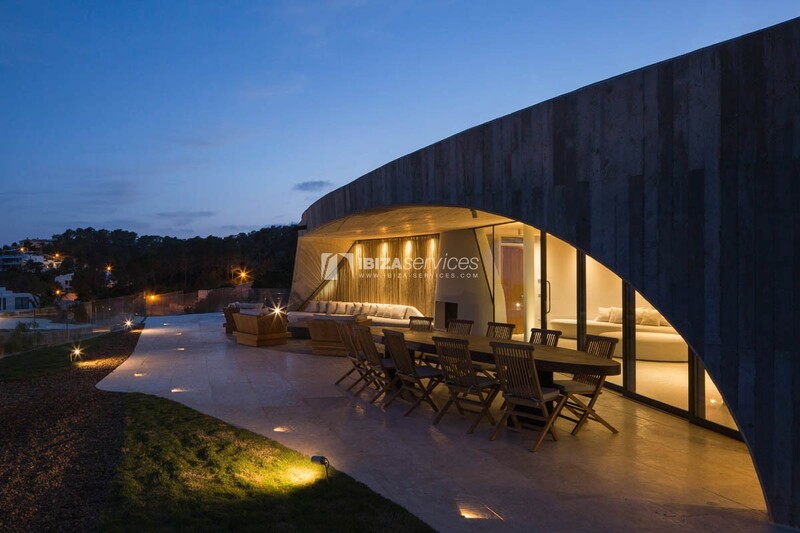 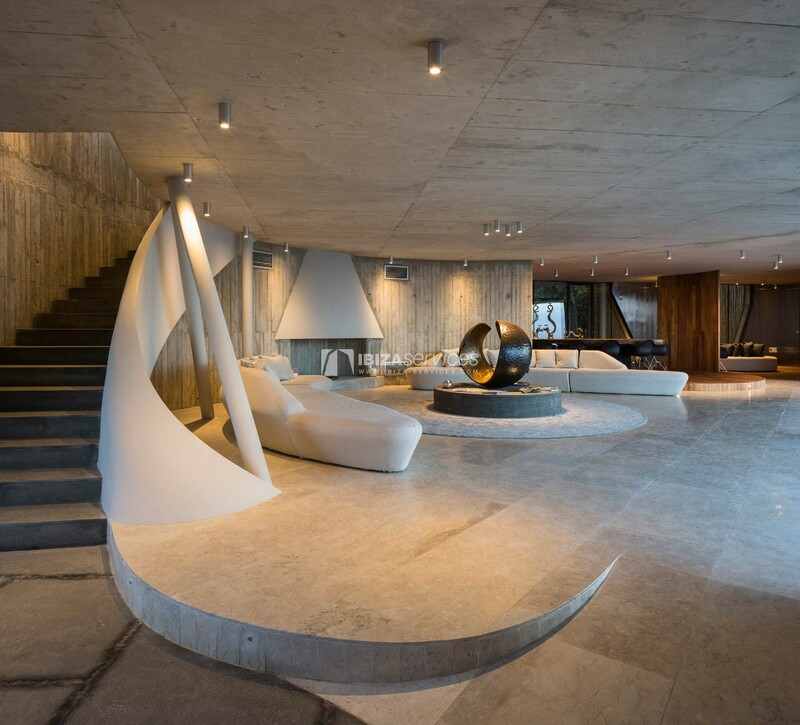 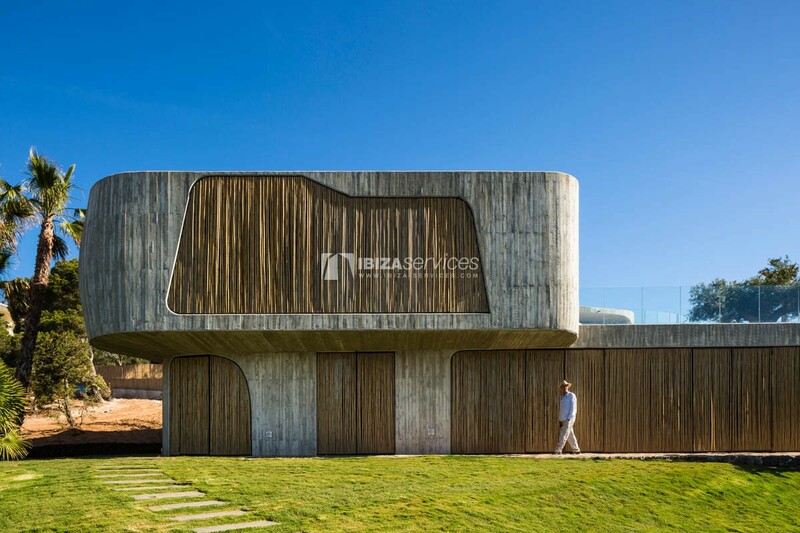 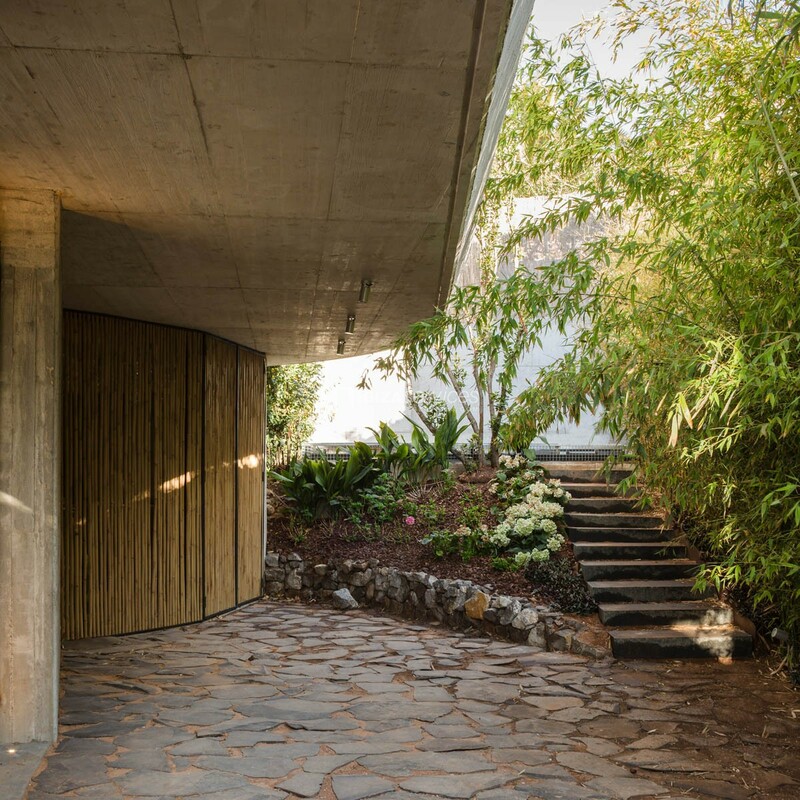 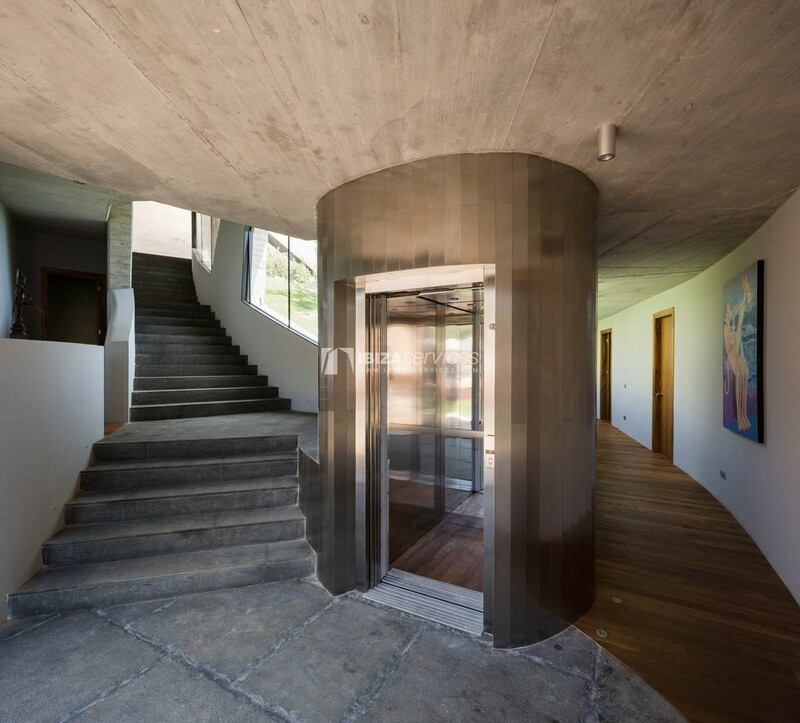 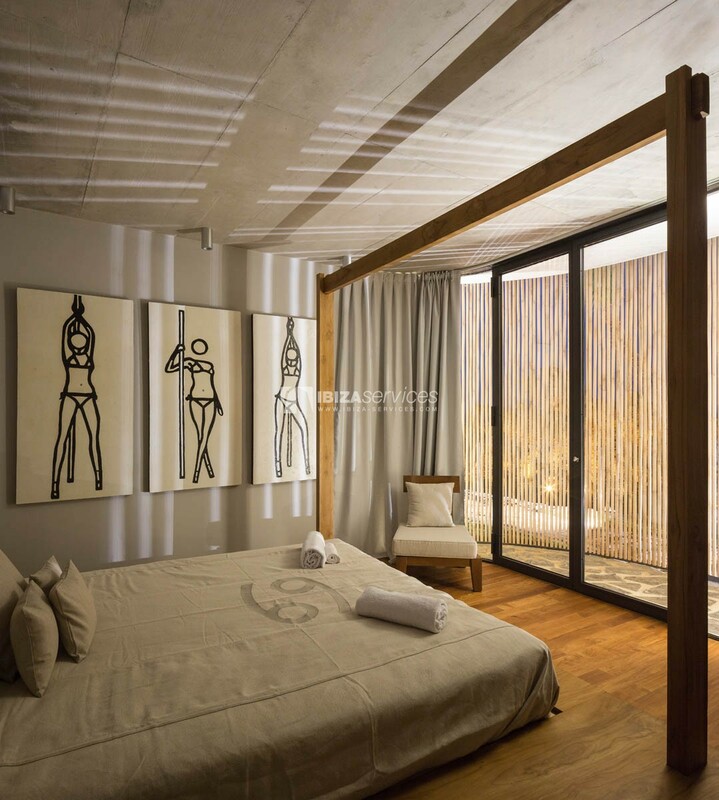 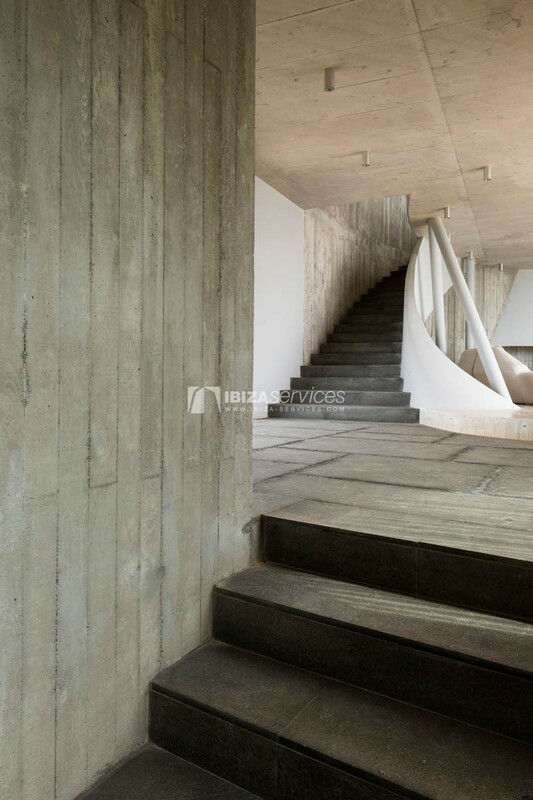 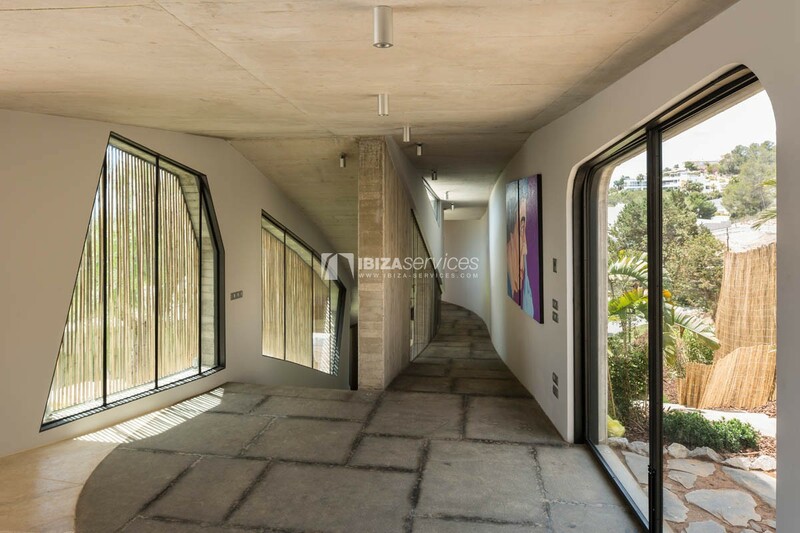 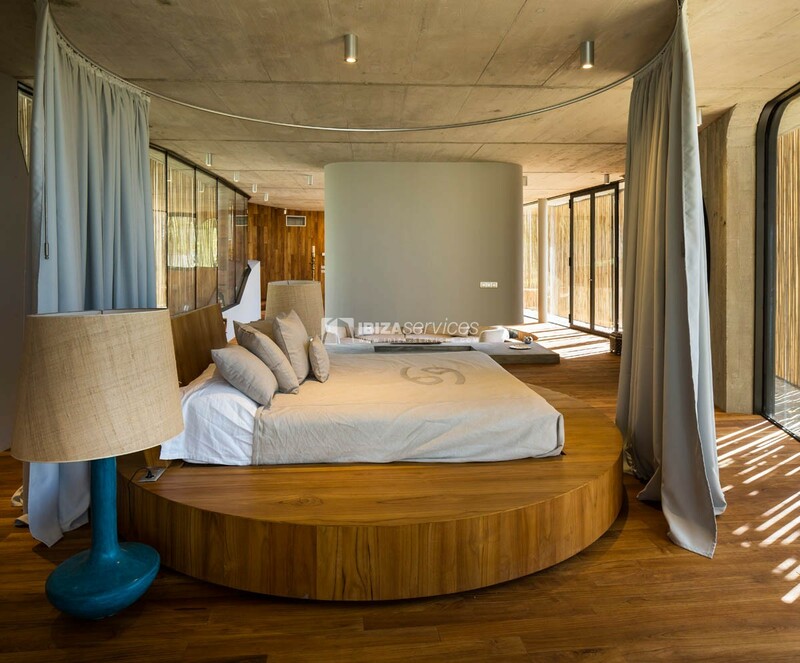 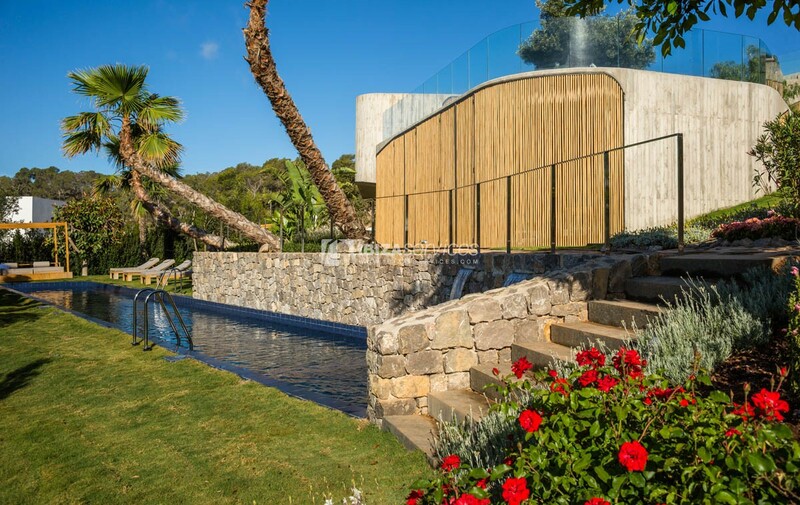 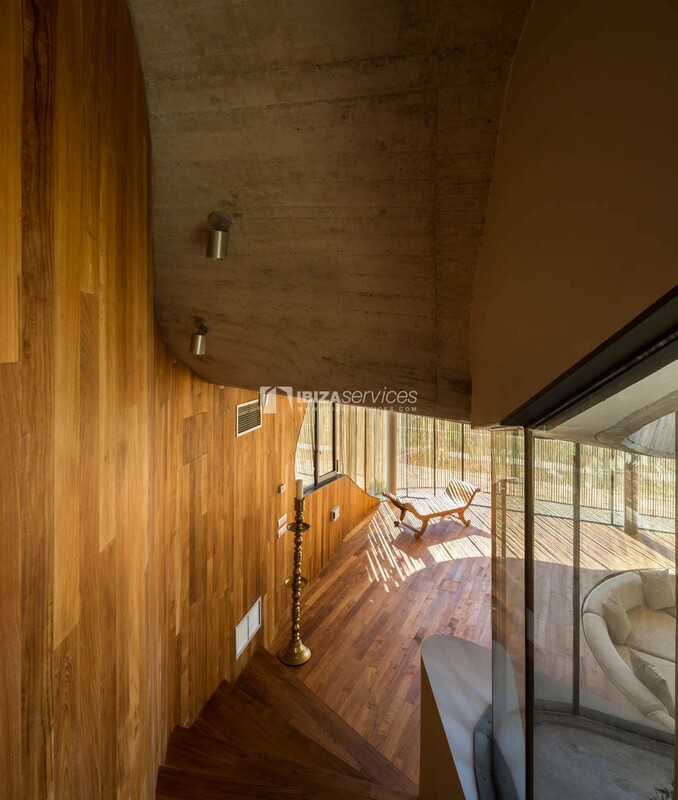 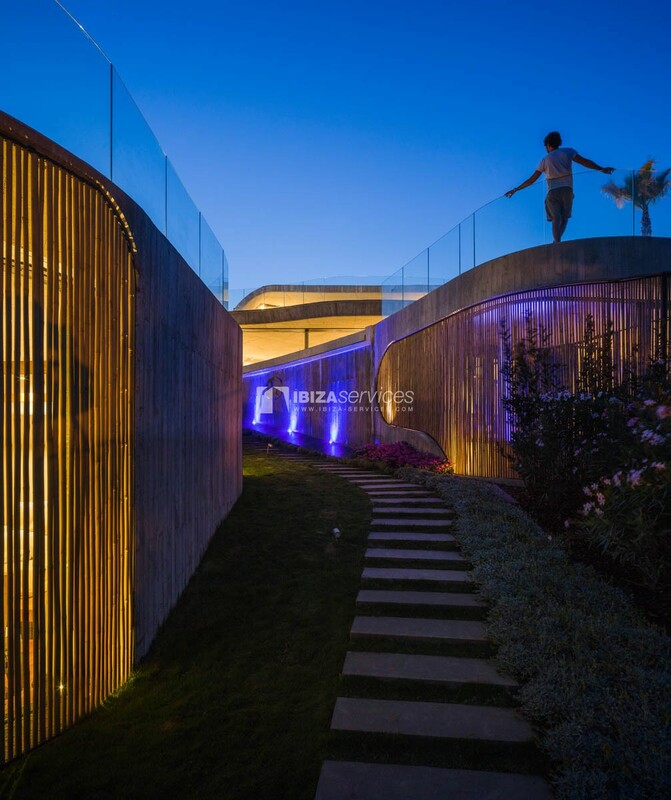 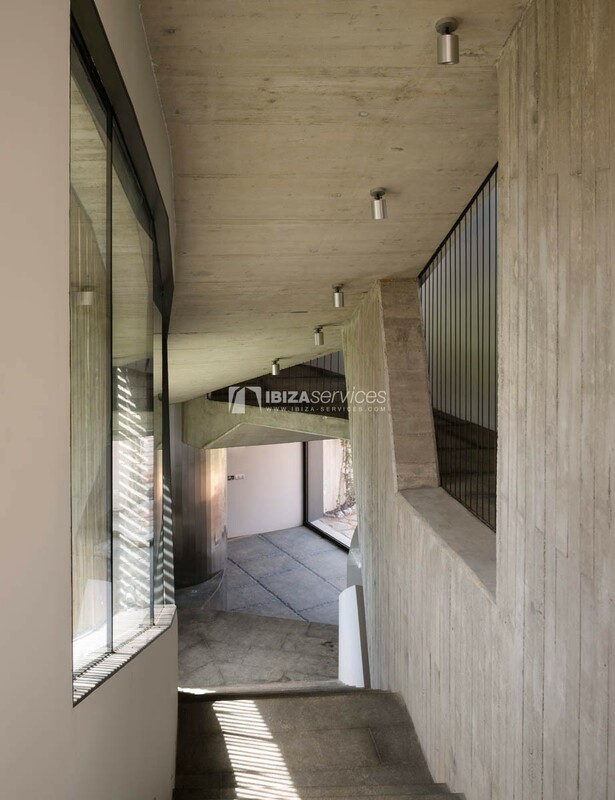 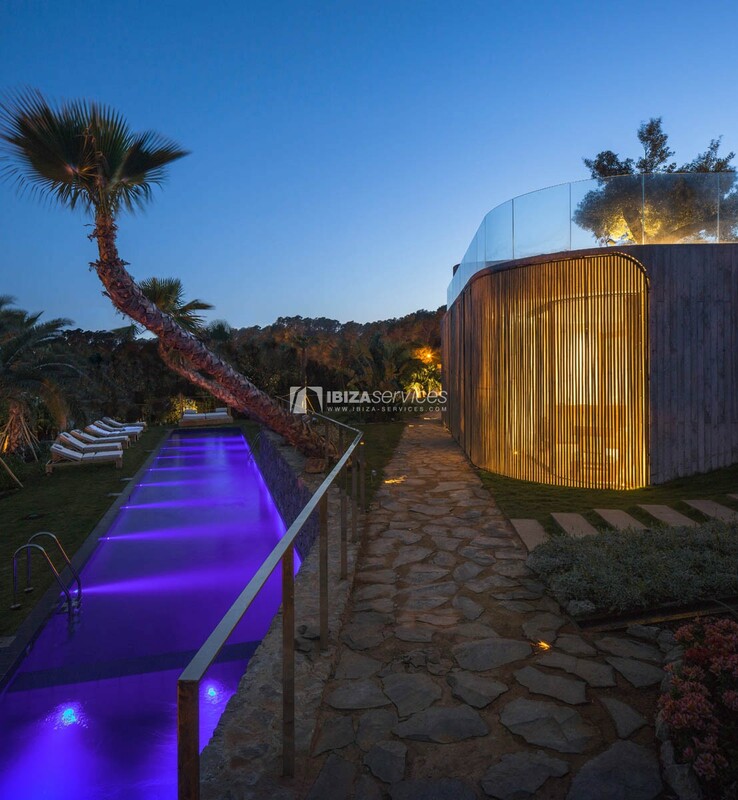 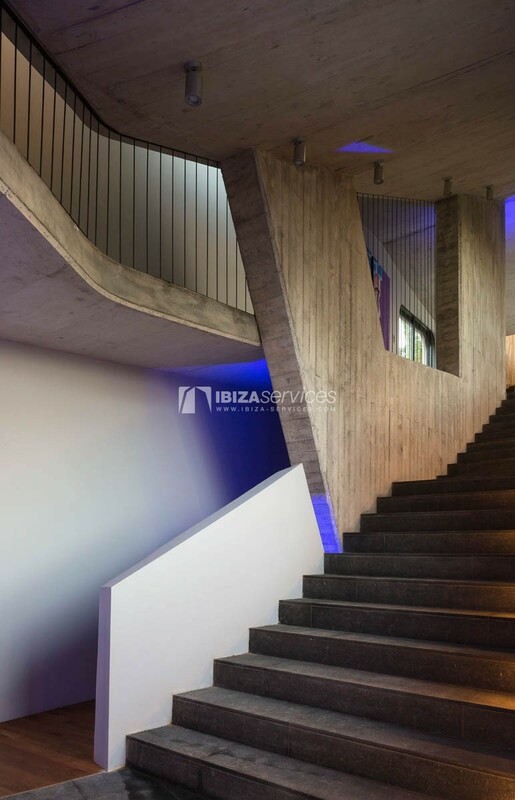 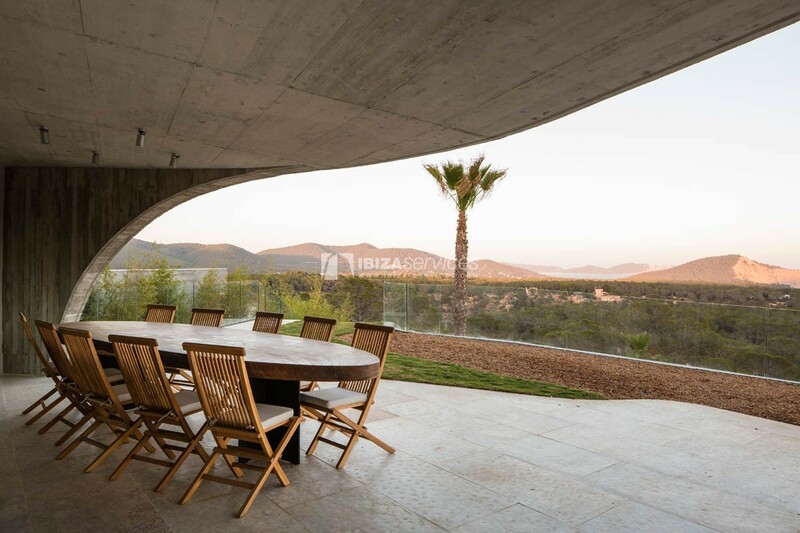 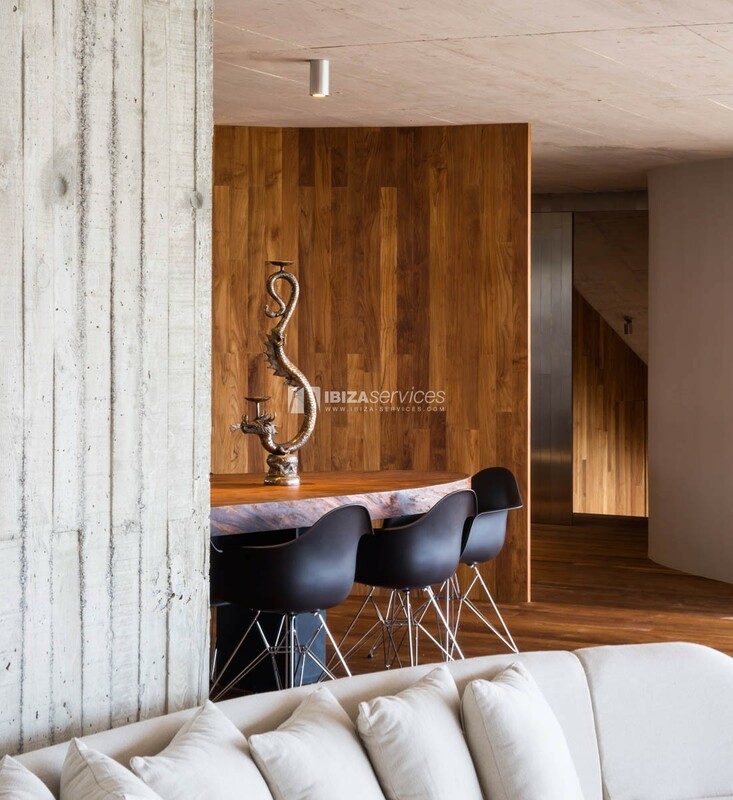 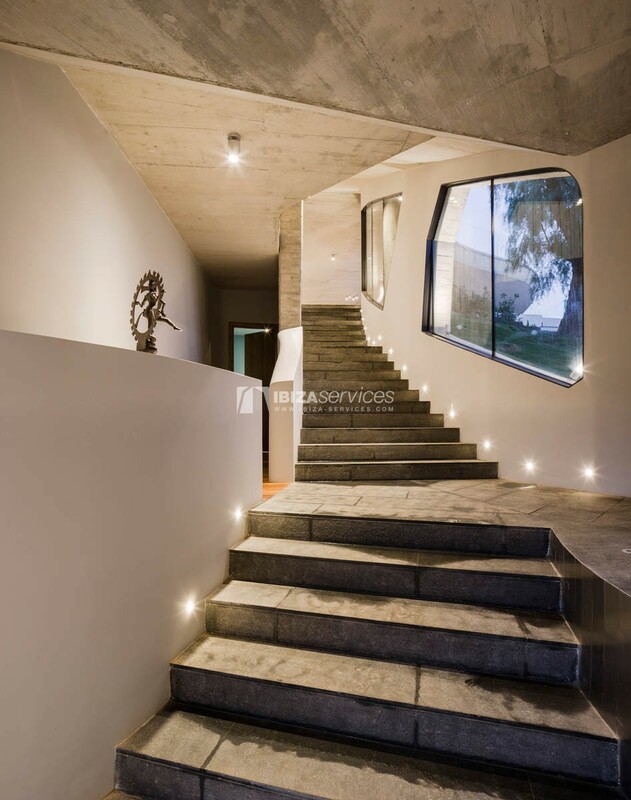 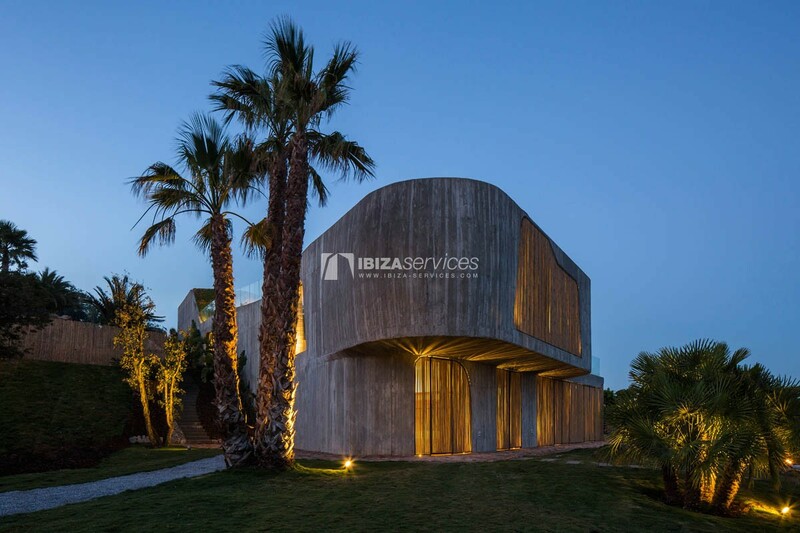 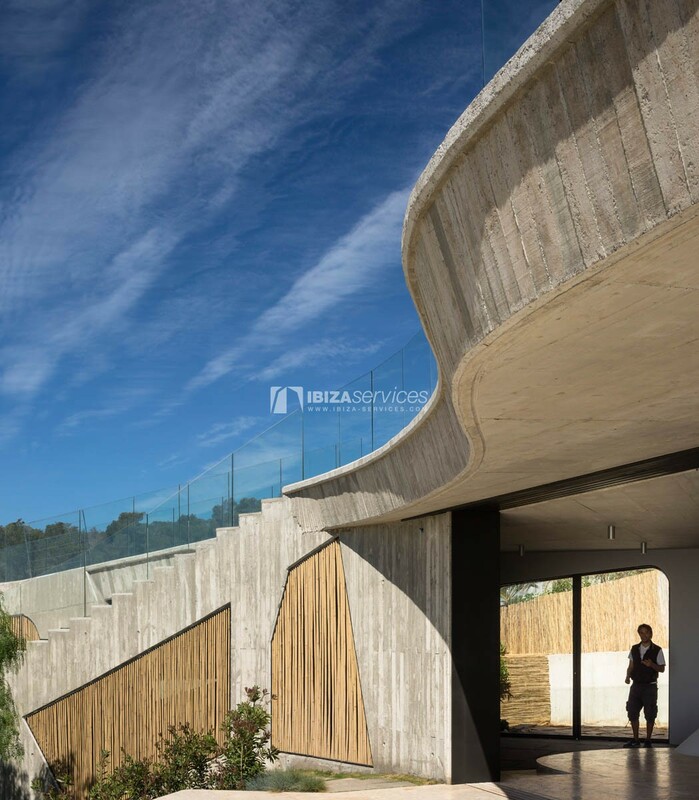 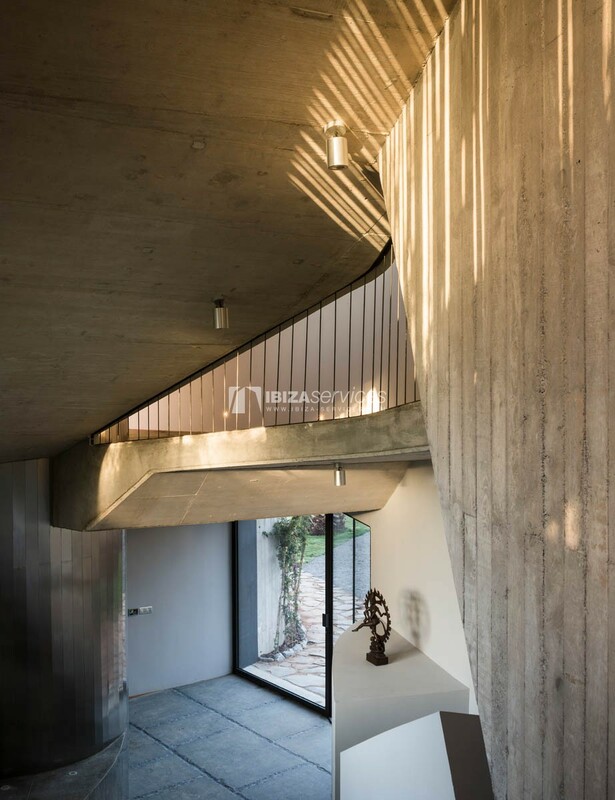 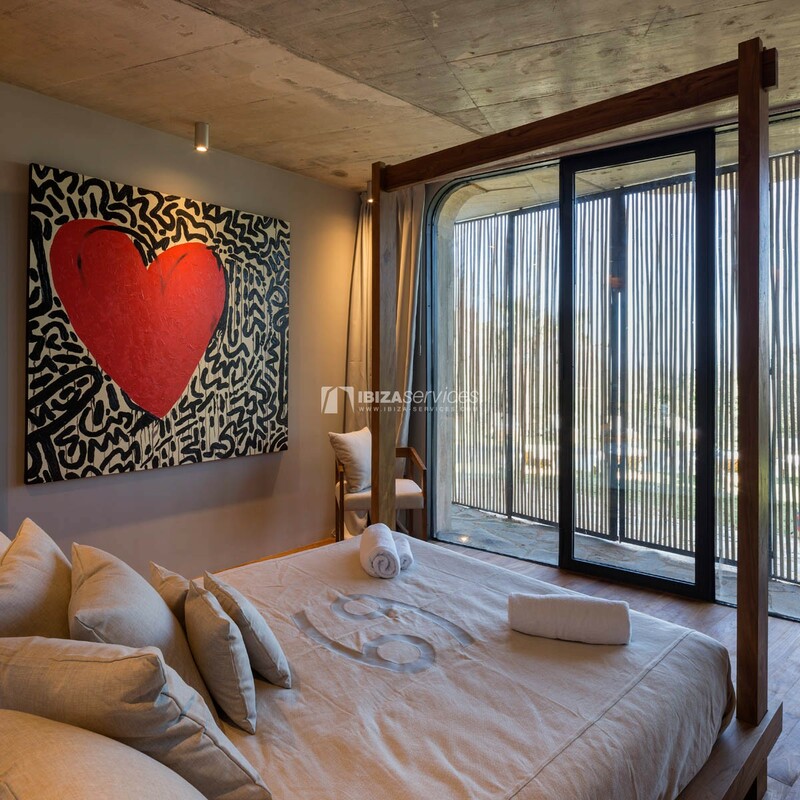 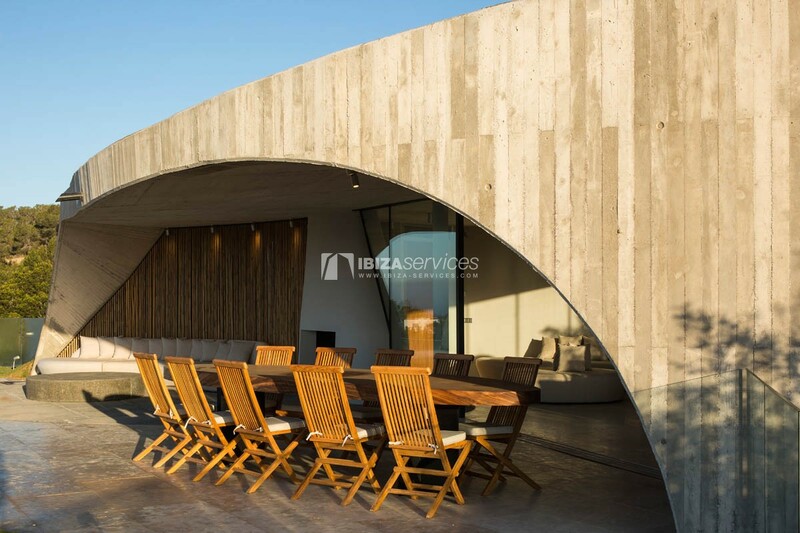 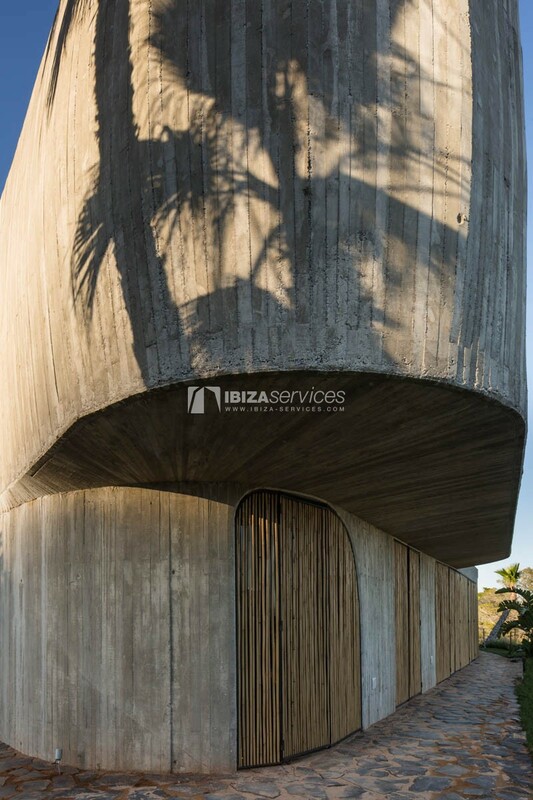 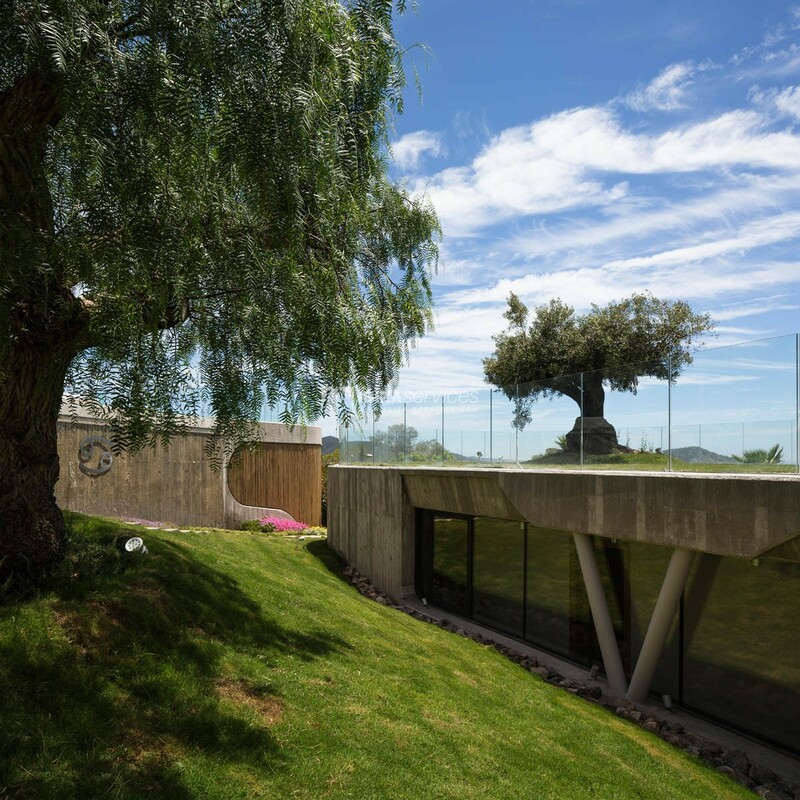 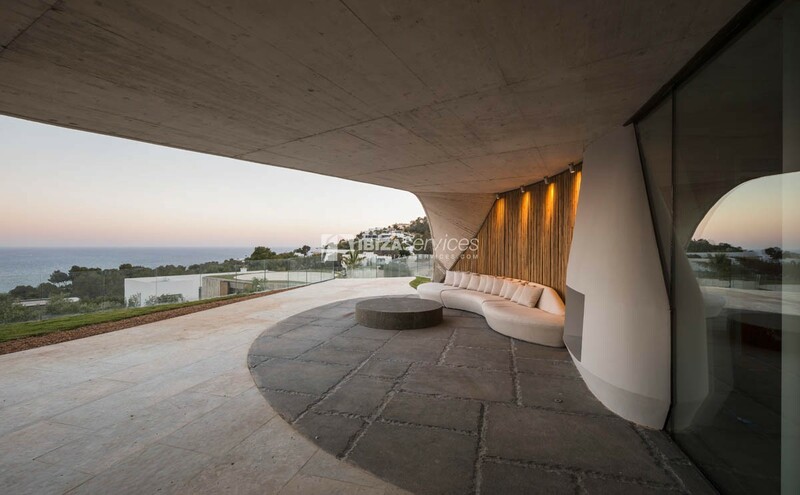 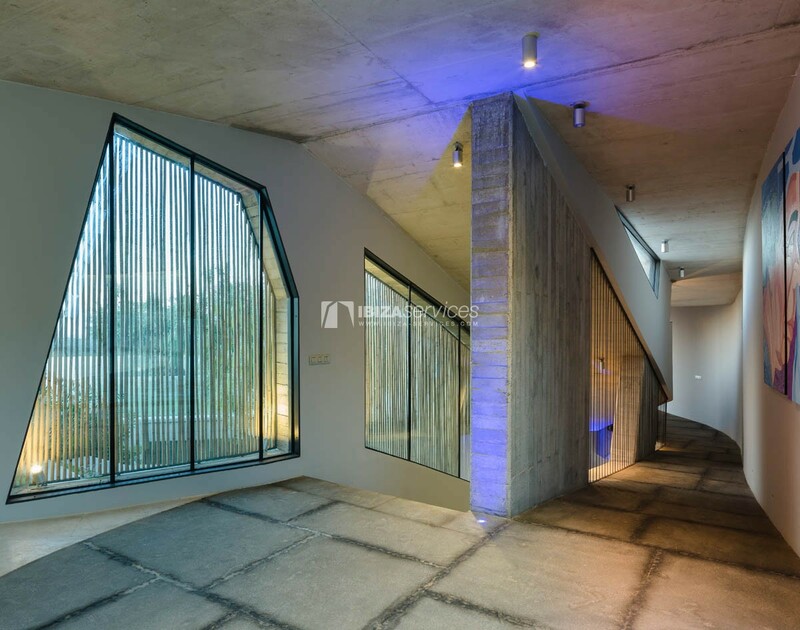 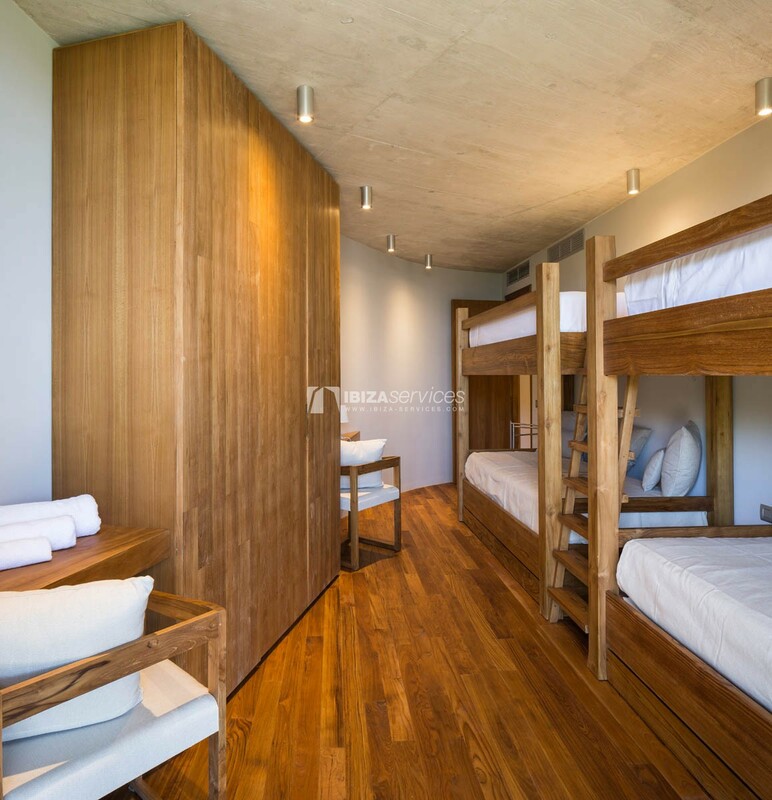 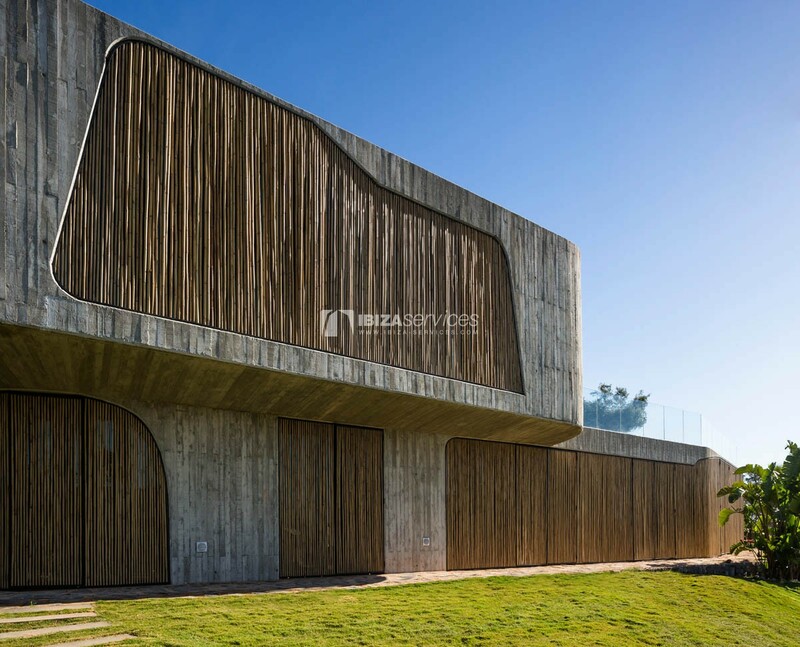 • The use of simple materials like irregular board formed concrete and drywalls, underlines the desire to avoid a popular image of luxury, while instead pursuing a connection with the island, the ground and its tradition. 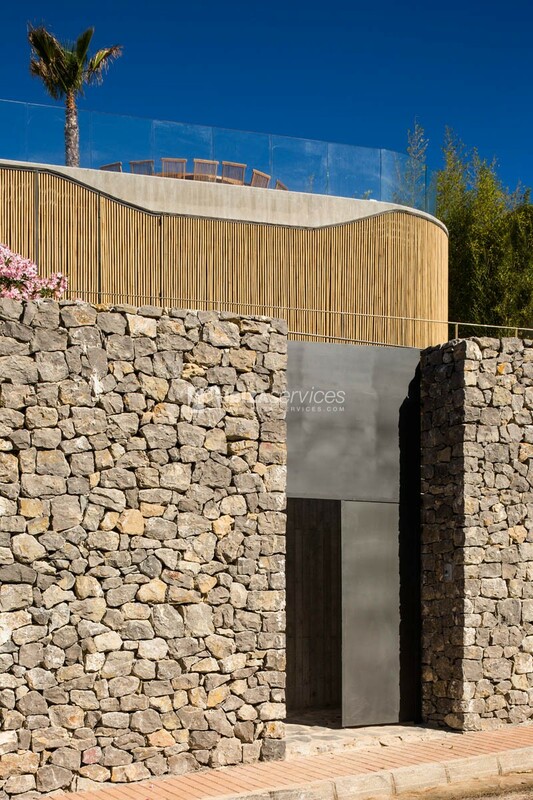 The result is thus informal and hospitable, according to the lessons of Busiri Vici, Couelle and Vietti.